Doing much better in the last week of the reset. Food is tasting better. I’m more alert and focused. Felt like I got a lot more done today. More energy through out the day. Didn’t want to take any naps. Starting to enjoy the last week. Plate of fresh fruit for breakfast. Microgreen Salad for lunch. 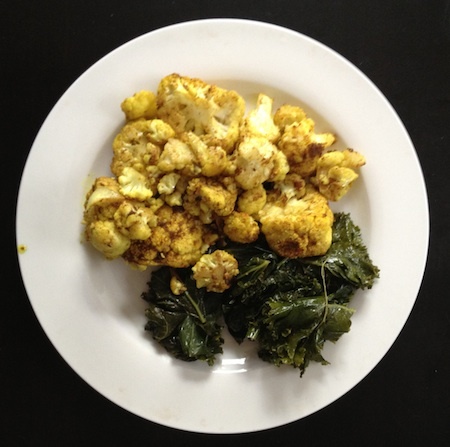 Curry Cauliflower, Lemon Pepper Kale, and brown rice for dinner. I was happy to see dinner turn out so well. Thought it was going to be tricky from looking at the directions but did much better than expected.